Custom built 2 story in the country. This 5 Bedroom, 3 Bath home features 2760 SF of Living space. It is surrounded by farm fields and beautiful sunrises and sunsets. This house offers open concept throughout, with spacious Living and family rooms. Sit by the gas log fireplace in the Family room. The Kitchen is fully equipped and the home has a Dining room for those entertaining weekends and holidays. Large Bonus, or Rec Room on upper level. 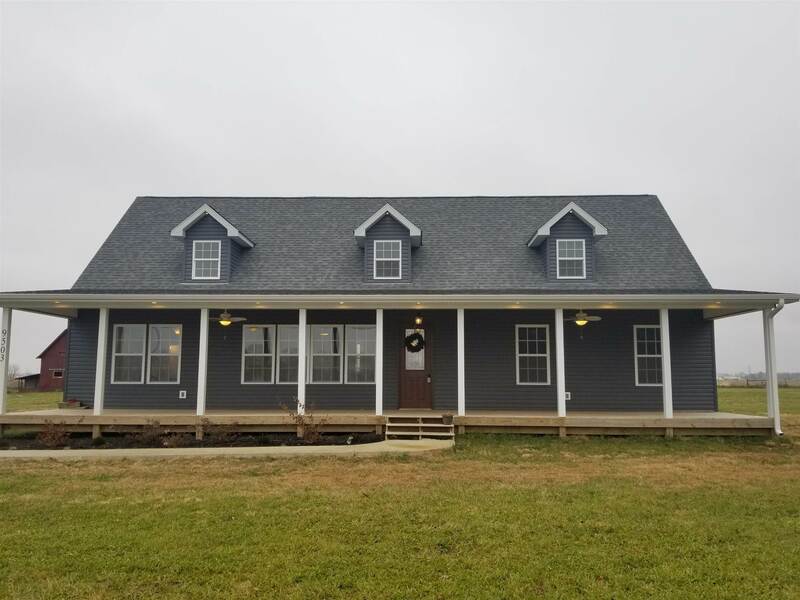 This custom home was just completed in January 2018. The owner has received a job transfer out of state. This nearly 3 Acre lot offers lots of opportunities for you and your family. There is a full length farm style porch that adds 600 SF to your living enjoyment. The 1920 Barn has been freshly painted. This mini farm has easy access to SR 26, and Interstate 69. Arrive in Ft. Wayne in just 45 minutes! This large property awaits You and your family!